This flu season, stay up to date on what changing regulations mean for your child’s vaccine options. It’s flu season again, and every parent knows what that means: time for flu vaccinations. With kids in school and out of your site all day, it’s hard to prevent them from coming into contact with germs. That’s why the flu vaccine is far and away from your best defense against the virus. Fortunately, the 2018-2019 season offers a plethora of flu vaccine options, many of them faster-acting and more convenient than ever before. In combination with healthy habits — like washing hands, avoiding shared surfaces, and getting plenty of sleep — the vaccine is highly effective for preventing the flu. Further, the more people in a household or community have received a flu vaccine, the less likely it is to spread. Getting a flu vaccine isn’t just good self-defense: it’s a public service, too! “Quadrivalent” vaccines contain all three of the above viruses as well as B/Phuket/3073/2013-like (Yamagata lineage) virus. Most vaccines administered this year will be quadrivalent: all nasal spray vaccines will be quadrivalent, as will all cell-grown and all recombinant flu vaccines. 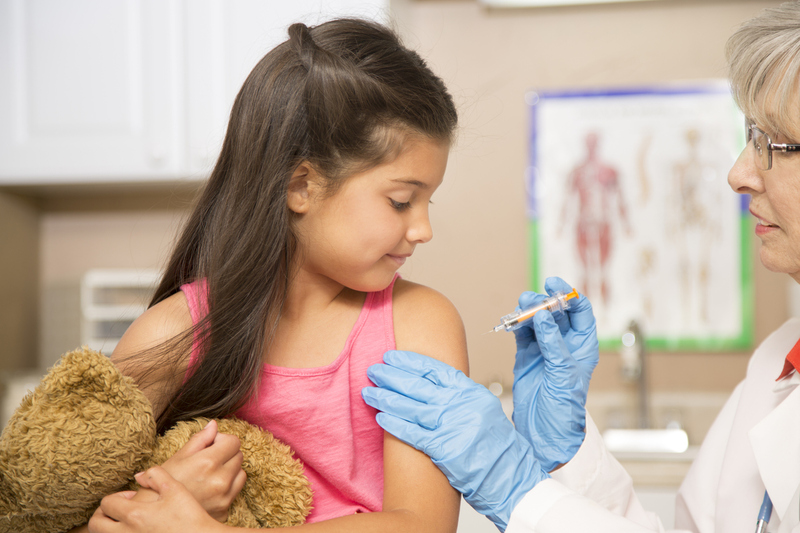 This year, there are two new vaccine options available to parents of young children: FDA findings have allowed Fluarix Quadrivalent and Afluria Quadrivalent to lower their age limits. They are now available to children as young as 6 months and as young as 5 years, respectively, which gives your doctor more choices when deciding which flu shot to administer. Overall, the CDC recommends standard dose flu shots, shots made with virus grown in cell culture, recombinant vaccines, or the nasal spray vaccine for children under 18. Your doctor will ultimately decide which option is best for your child based on their health history. While any licensed flu vaccine is better than none, it’s best to get the vaccine early on, since it takes about two weeks after vaccination for protective antibodies to spread throughout the body. We’d recommend getting vaccinated before the end of October, but if you miss that deadline, vaccinations will extend into January or later. However, if your child is younger than 9 and is getting the flu shot for the first time (or if they’ve only had one other flu vaccine administered prior to July 1, 2018), your doctor will likely recommend two flu shots. If this is the case for your child, investigate vaccination options as soon as you can, since the two vaccines are usually administered at least four weeks apart. In the case that your child has an egg allergy, they can still receive the flu shot. If they have only experienced hives after exposure to eggs, they can receive any licensed flu shot that’s otherwise appropriate for their age and health. Children who have experienced symptoms other than hives, such as swelling or difficulty breathing, should only receive vaccines administered in a medical setting – including hospitals, clinics, health departments, and physician’s offices – to ensure everything goes according to plan. Here at Kids’ Health, we’re gearing up for flu season and are ready to help you keep your child safe and healthy this fall and winter. Schedule an appointment for a flu shot today!